Dimitrios brings his buddy Pedro to hang with Pete in The Basement this week. They've got a new project called The 6th Borough, featuring New Yorkers as animals native to the big city! So yes, the main character is a pigeon! This is another live Periscope episode, so the boys also answer a ton of fan questions, as well as interact with viewers during the live show! Couple this with highlighting two weeks worth of books and you've got an extra long, feature length Basement episode! Masters of the Universe #18 - 1st Appearance of She-Ra Comic Giveaway!! 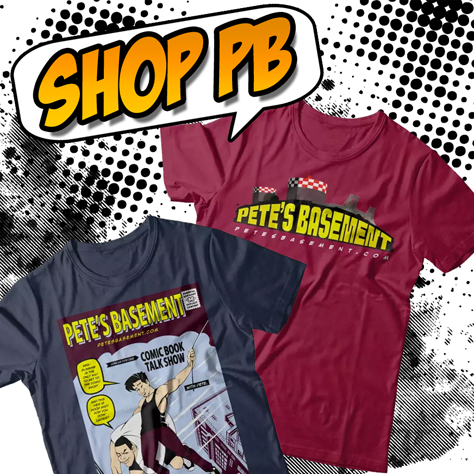 Your buddies at Pete's Basement are doing it again! Giving stuff away for free!! Here's your chance to win a copy of He-Man and The Masters of the Universe #18, featuring the first appearance of She-Ra!! All you have to do is go watch episode 34 and answer the trivia question!